This Handy Dandy Slicer is just the tool needed to create uniform slices of hard-boiled eggs. Simply slip the peeled egg in the spoon, and close the top. 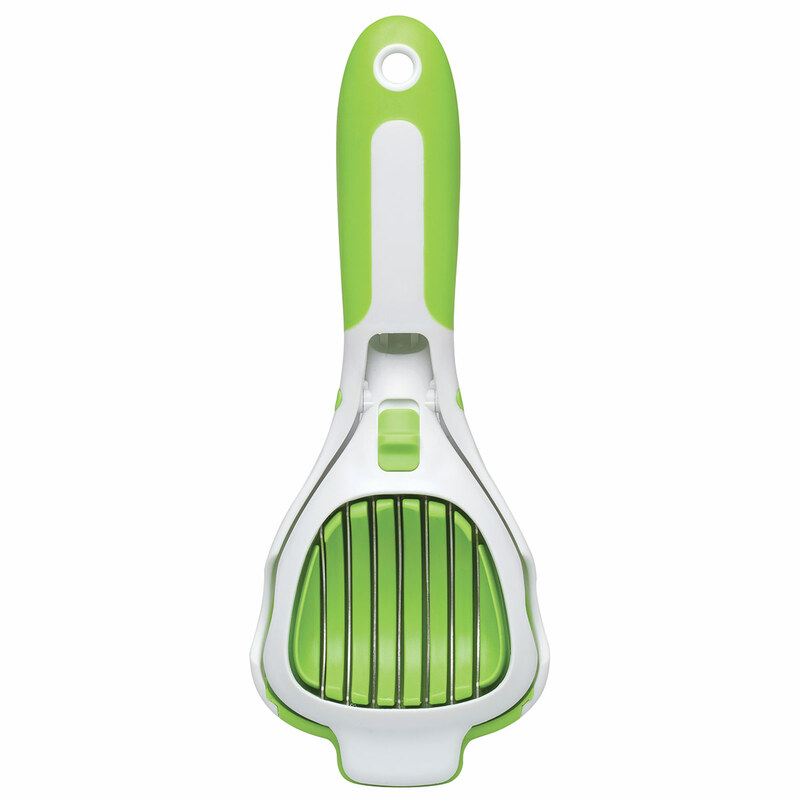 The stainless steel blades cleanly slice through the egg. Also perfect for soft fruits including bananas or strawberries, as well as cheese, mushrooms and other vegetables. Easy grip rubber handles make it easy to grasp and lock for compact storage. One-hand operation to prep and slice your food quickly. Hand wash in warm, soapy water. Measures 9 inches long.